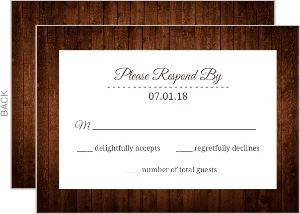 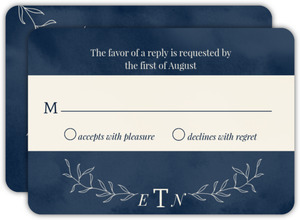 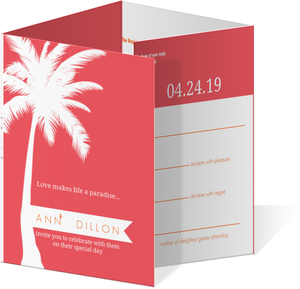 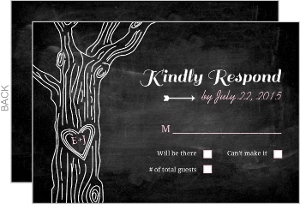 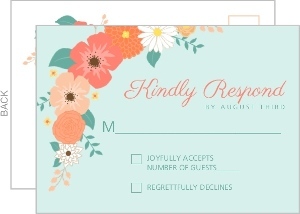 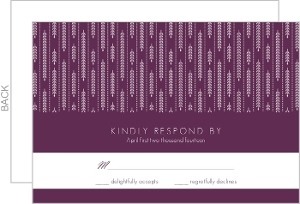 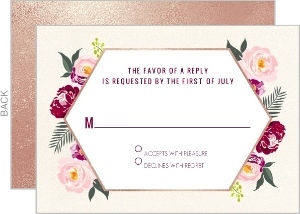 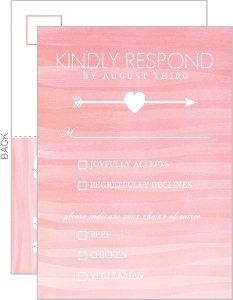 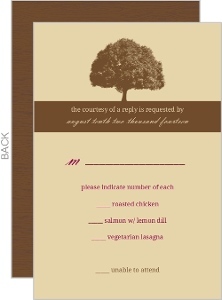 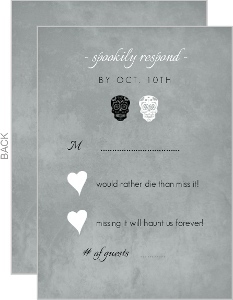 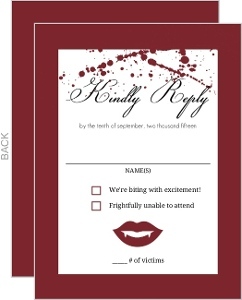 Wedding Response cards might be better known as RSVP cards to you, but whatever you call them, we've sure got some designs that will please the eyes. 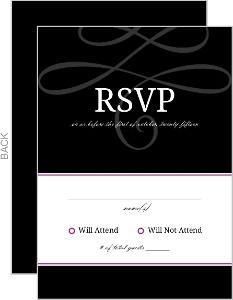 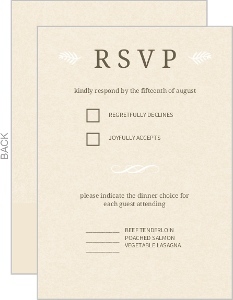 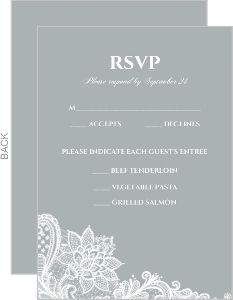 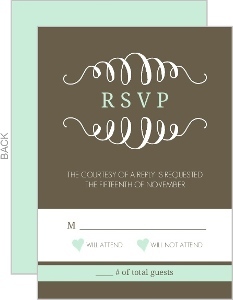 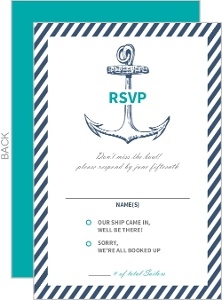 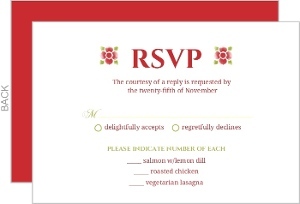 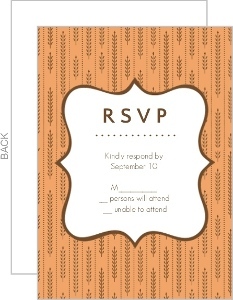 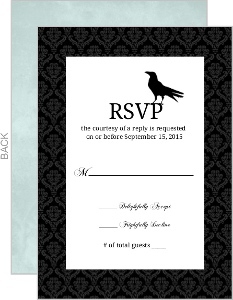 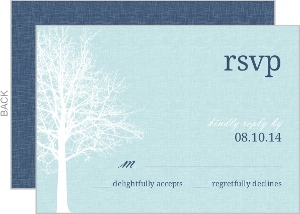 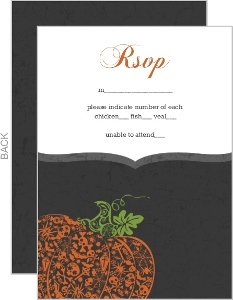 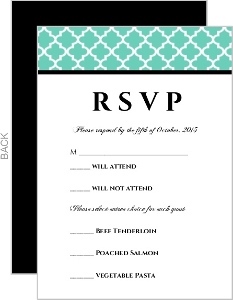 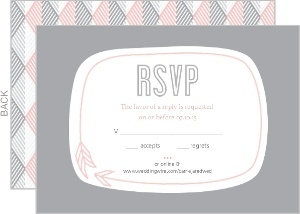 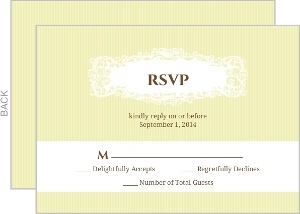 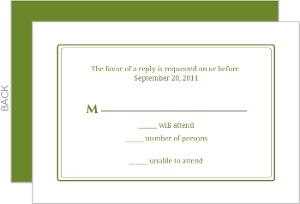 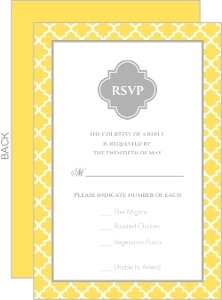 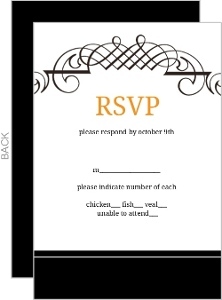 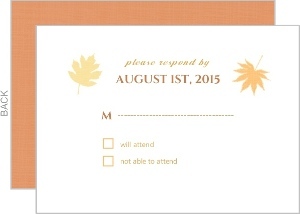 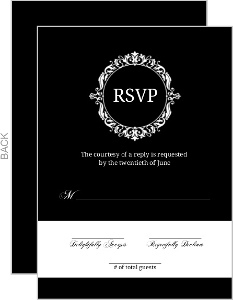 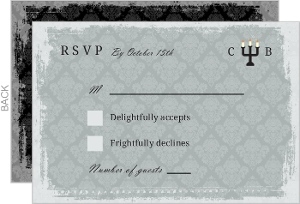 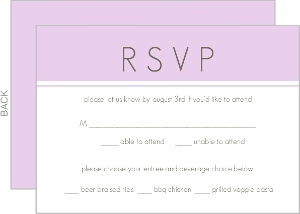 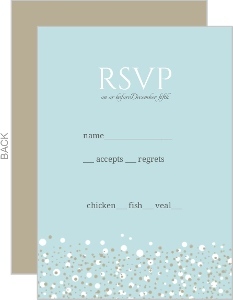 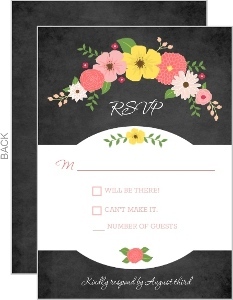 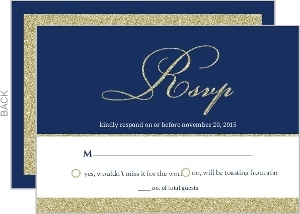 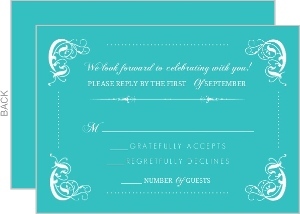 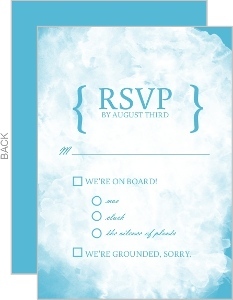 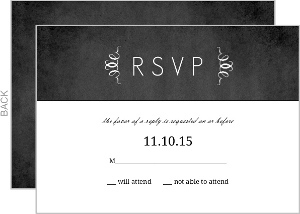 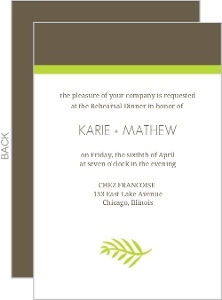 RSVP cards are typically smaller than the invites themselves, and often set up in post card style for ease of mailing back. 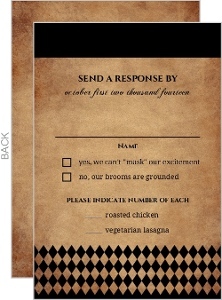 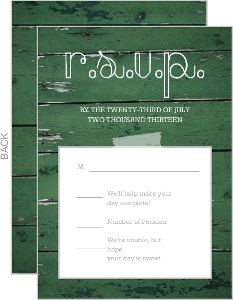 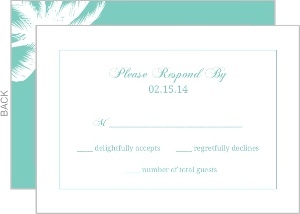 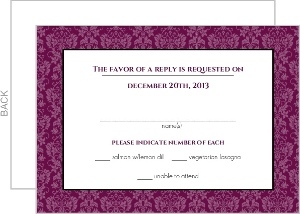 Be sure to have the address on the response card ready to go, or envelopes with the same. 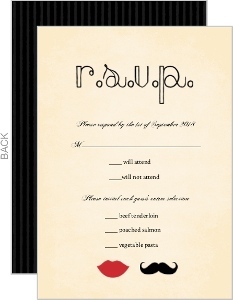 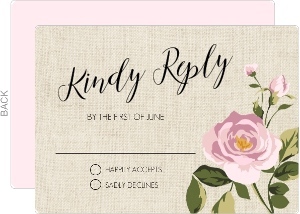 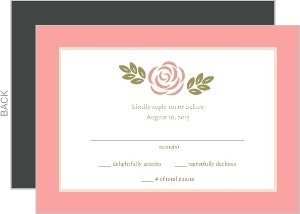 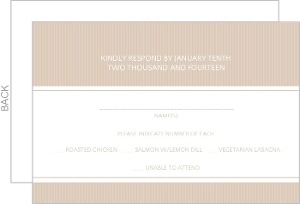 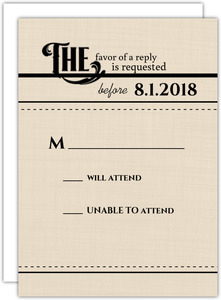 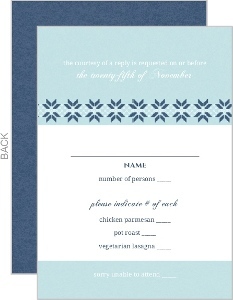 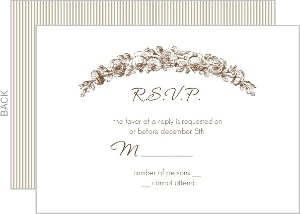 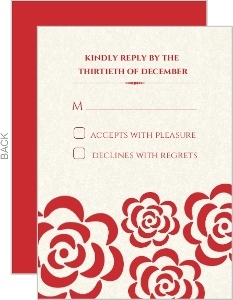 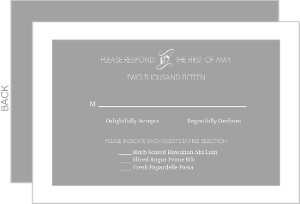 Wedding Paperie even gives you the option through our mailing service to mail these to your guests, and provide them with the return postage to send to you the responses. 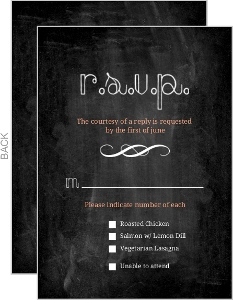 It's a great system. 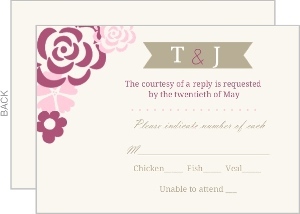 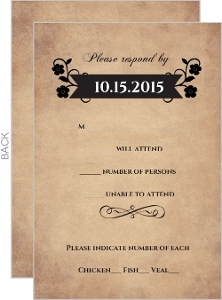 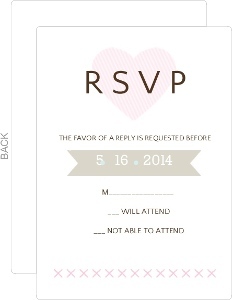 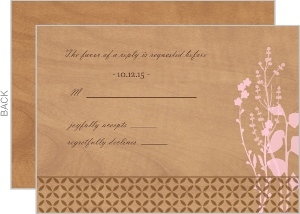 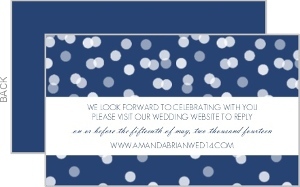 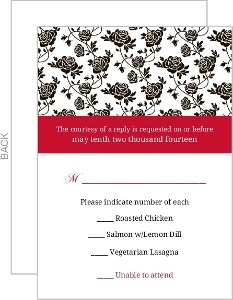 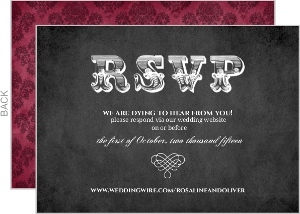 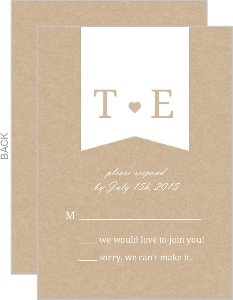 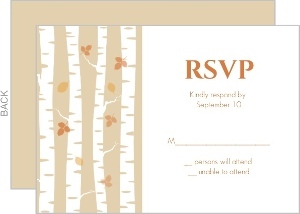 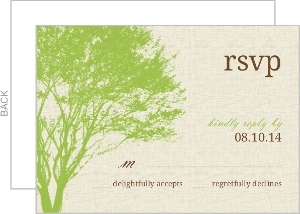 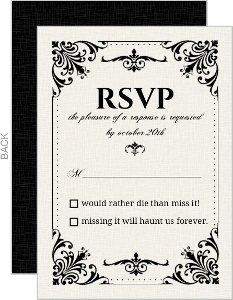 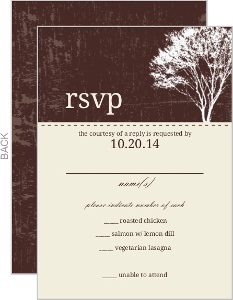 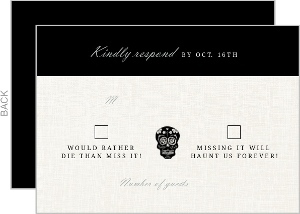 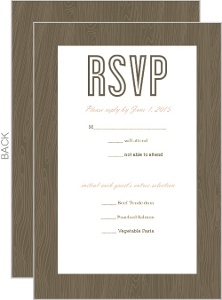 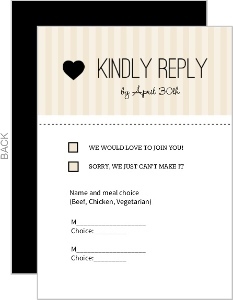 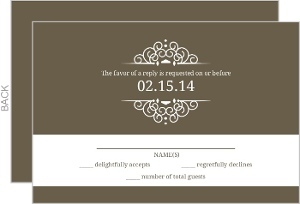 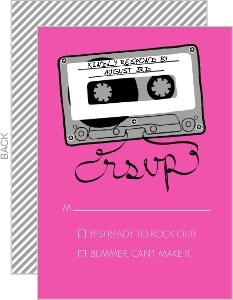 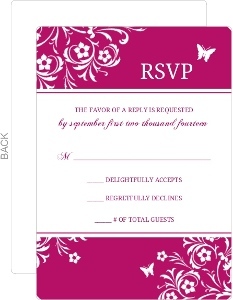 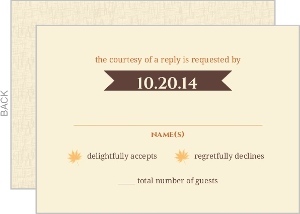 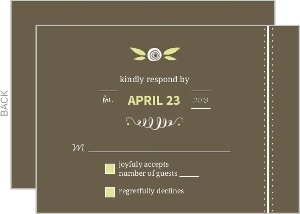 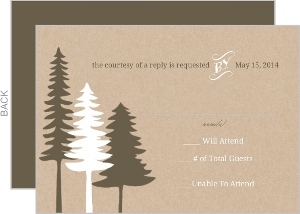 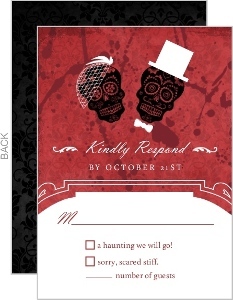 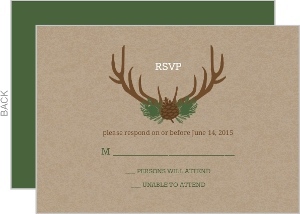 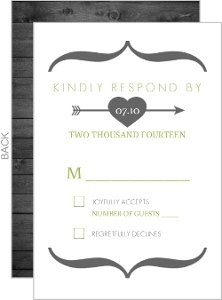 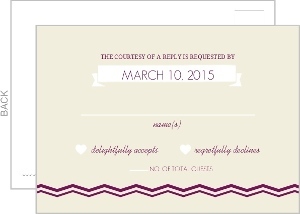 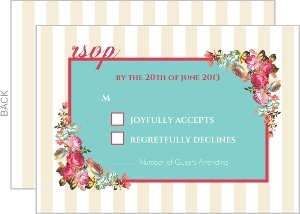 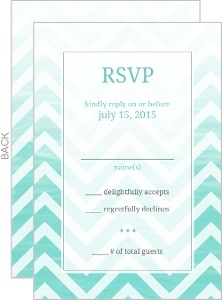 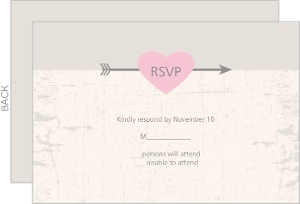 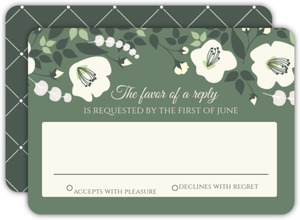 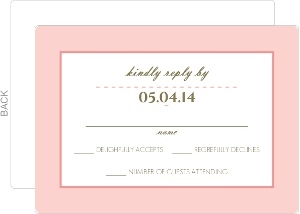 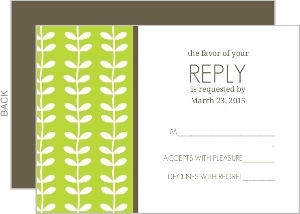 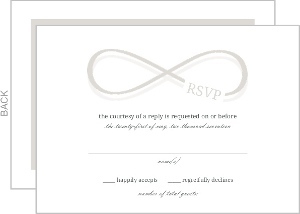 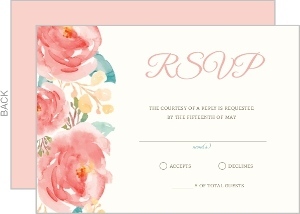 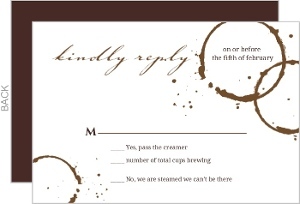 Use Wedding Paperie for your invites and wedding response cards, you won't regret it.